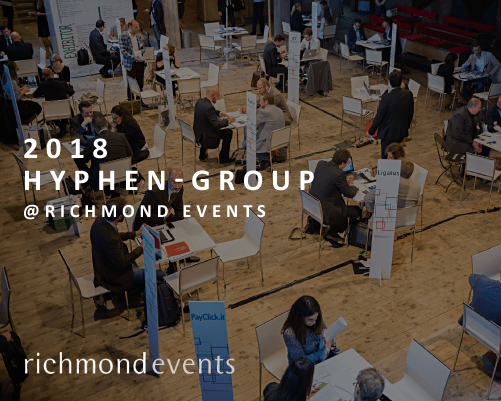 The productive partnership between the Hyphen Group and the Richmond organization grows ever stronger. 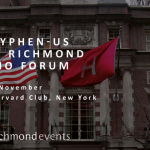 We’ve been regularly participating in the Italian events for several years and this year we’ve decided to include the two other countries in our group, Hyphen-UK and our brand-new Hyphen-US, so we can broaden and increase the number of events in which we are taking part. Richmond has been active in organizing B2B events for over 20 years. They create a meeting point for suppliers and potential customers through a pre-arranged schedule based on the interests declared by participants. The format includes one-on-one meetings, speakers and networking sessions so that Senior Managers and decision makers from top companies in all sectors (Delegates) can meet with suppliers of services (Exhibitors) with the aim of increasing their understanding of the market, building their professional network, initiating positive collaborations and bringing together the experience and needs of the Delegates with the ideas and solutions provided by Exhibitors. 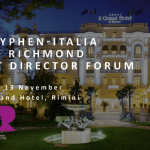 Being part of Richmond events gives us the opportunity to reaffirm our presence in the Italian market and, as Hyphen-Group, to bring to the world our two decades of experience and our approach to digital transformation. Hyphen has become a multinational so that we can address the specific needs of the market and countries we operate in with the same Hyphen values, vision, method and solutions, never compromising on the rigour and depth of our approach to digitization that is still too often approached superficially.